hi all, im not a coin collecter as such but do have some coins. anyways today i noticed a 1penny in my change that has a silver blotch on one side of the coin. first i thought it was sprayed on but nah. its the coin its self. 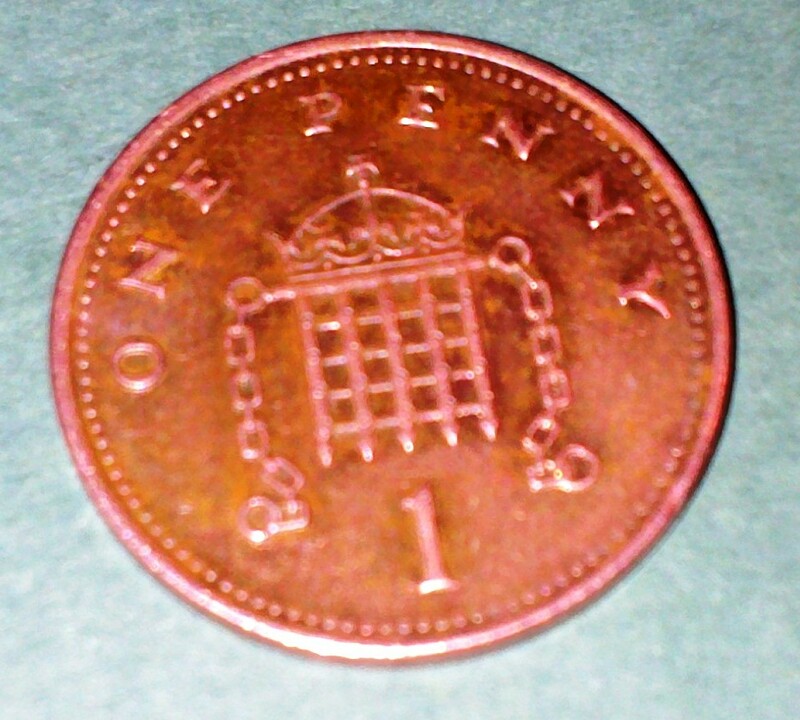 also some of the tiny nobly balls underneath the number 1 seems to be very flat. yah thats a bad picture i was in a rush to find out more about it haha. i sort a better one out. but in mean time i got my hands on another coin. 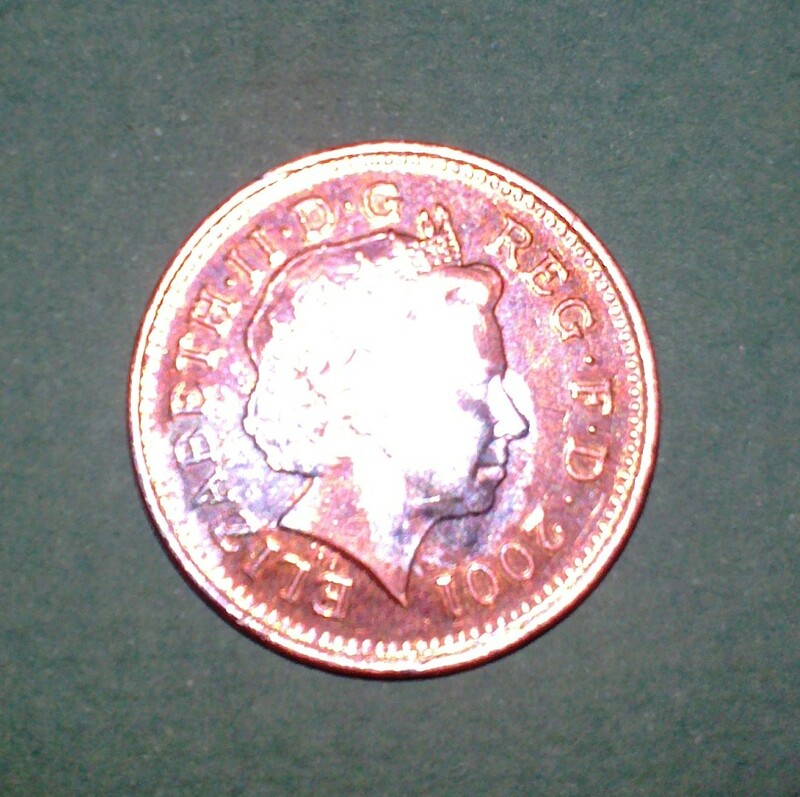 a 2pence 2001 coin which i got from natwest bank when i gave them £20 to change for 2pences. i got alot of new pence's and alot of bronze coins from 80's up to 1998 obviously non magnatic.but not the 83 unfortunatly. but havent found any info at all apart from the 1998 coin which they reversed the bronze from steel and copper plating for a few months. 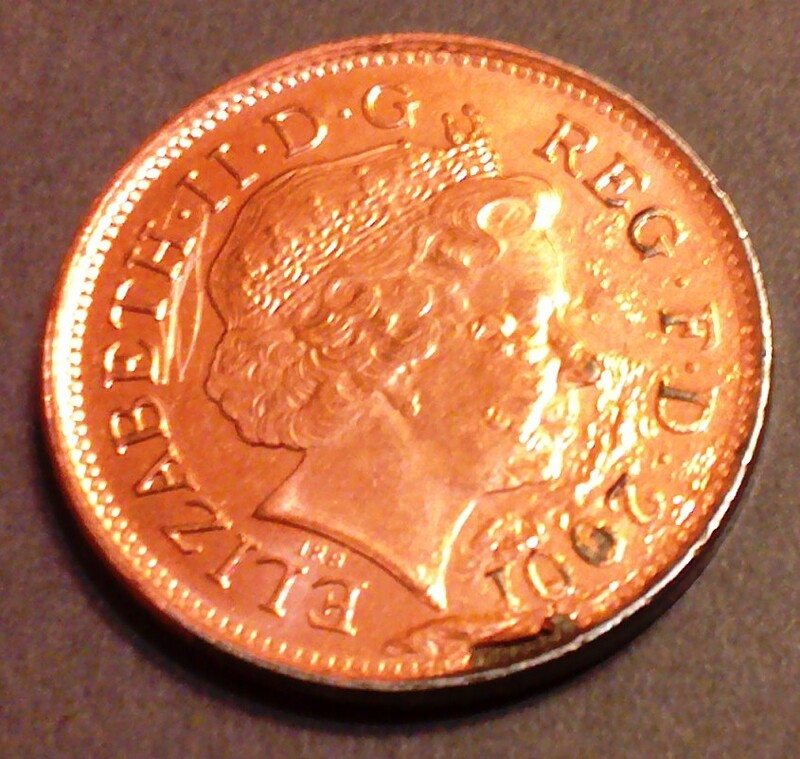 heres the pictures of this 2p coin. its covered in bubbles and some of the plating has gone with part of it sticking up as it has peeled away. theres an indent going up from the words 'DIEN' right up through the feathers. 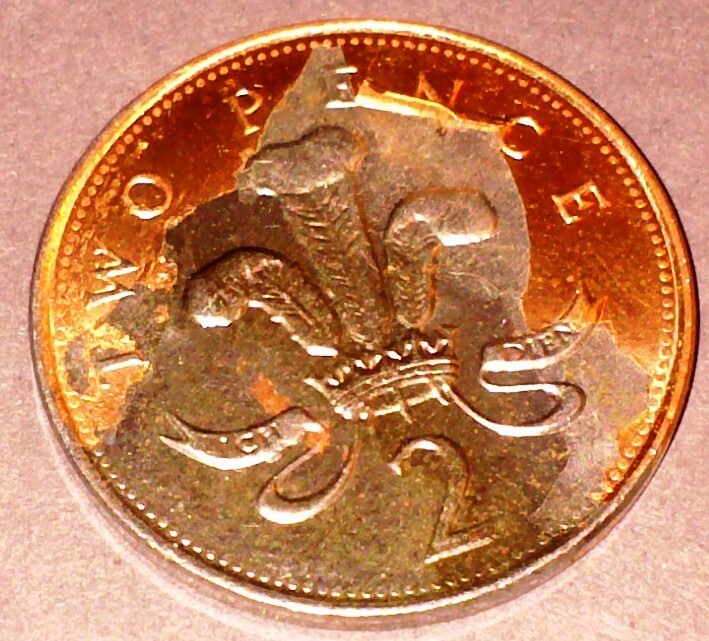 and the edge of the coin has like a lip/rim but not very clear on pictures due to light probs. seems like a double hit .